Naruto is back with an even bigger classic than last time! Gaara and Naruto are both Jinjuriki and for a while were the only notable ones. Shukaku may be a lot weaker than The Nine Tailed Fox, but Gaara made up for it since he was way stronger than Naruto when they first met. Of course things have changed. 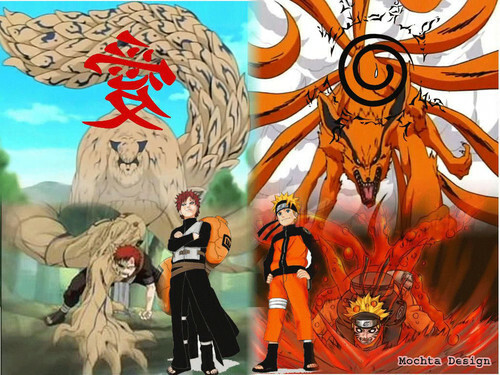 It’s been years since they fought, but if they fought again it’s safe to say that Gaara would be beyond doomed! 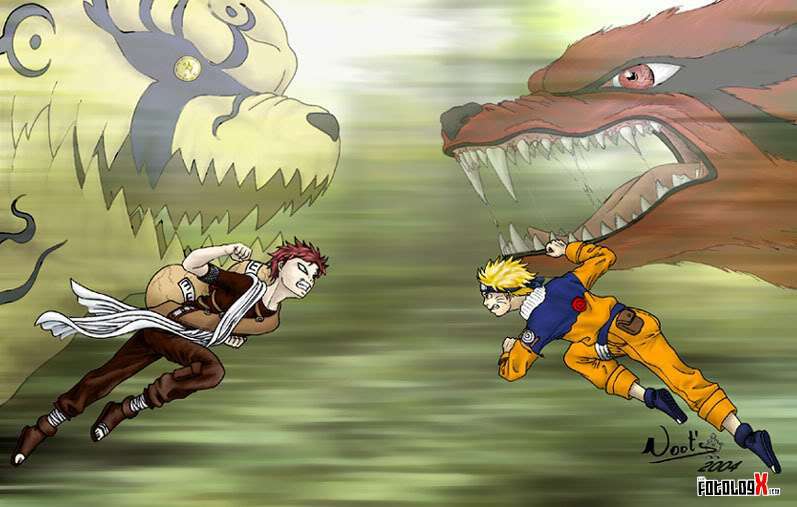 For starters Naruto’s faster and stronger than Gaara. Plus Naruto has a better array of jutsu that can do far more damage than anything Gaara can throw at him. While Gaara hasn’t improved much in a while, Naruto’s been getting stronger and stronger. Gaara may have turned to the side of the heroes, but Naruto’s always been on that side and has a slight head start on him. Gaara loses this round, but he’ll be back. Naruto wins. 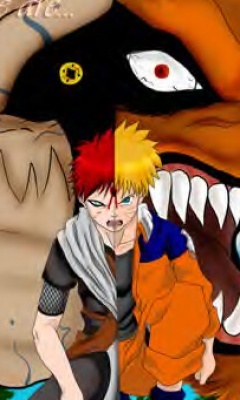 This entry was posted in Battles, Gaara Battles, Naruto Battles and tagged Gaara, Naruto by dreager1. Bookmark the permalink. Yeah, Gaara will get his chance to fight evildoers after that last fight. Fighting Akatsuki and other such villains. Even taking on one of the strongest ninja in existence! 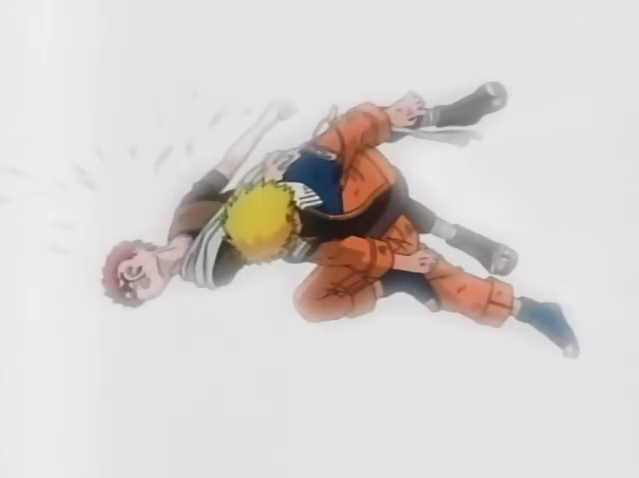 Yeah, Naruto managed to take him down. A truly impressive feat eh?